Arjun is the world's youngest mountaineer to summit five of the world's 14 highest peaks and among the youngest to summit the Everest at 16 years. 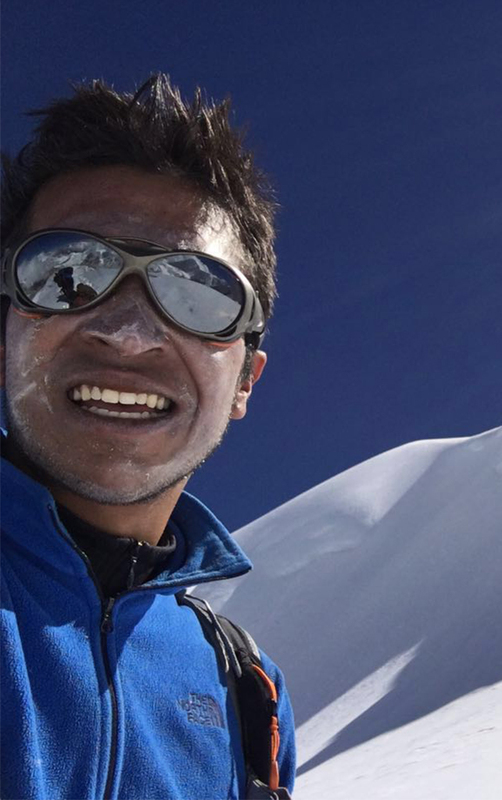 On October 4, 2016, Arjun became the youngest Indian to summit Mt Cho Oyu at 23 years. His talk about 'Finding Your Everest', is strewn with stories of his journey to each summit, inspiring the audience to push their limits and achieve their goals. Arun started the movement – ‘Climb for Climate Change’ – after witnessing the gross degradation of glaciers, forests and rural life during his expeditions. This is an action plan aimed at using his mountaineering experience and achievements towards a cleaner ecosystem and sustainable living in the mountains. ‘Climb for Climate Change’ involves Indian and international mountaineers, environmentalists, naturalists, engineers, scientists, bureaucrats, students, filmmakers and anybody with meaningful, workable ideas – all working with Arjun towards the goal of nurturing our living planet. Arjun has also been invited by companies like P&G, Aditya Birla Group, E&Y, Reebok and Victorinox to conduct workshops on employee motivation and drive.